Overview... a loyal butler and new parent of sorts. Due to the murder of Thomas and Martha Wayne, Alfred Pennyworth has become the sole legal guardian of their son, Bruce. 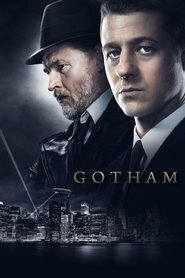 It won’t be easy protecting a vulnerable heir from the greedy gangs of Gotham, but Alfred isn’t your typical prim and polished manservant. Personality... lethal and loyal, Alfred Pennyworth is fiercely protective of young “Master Bruce.” As an ex-soldier, he’s an expert in martial arts, sword-fighting, gun-slinging, and pretty much any other form of combat you could think of. When it comes to parenting however, Alfred is almost completely out of his league. Alfred Pennyworth's popularity ranking on CharacTour is #1185 out of 5,000+ characters. See our top-ranked characters and read their profiles.